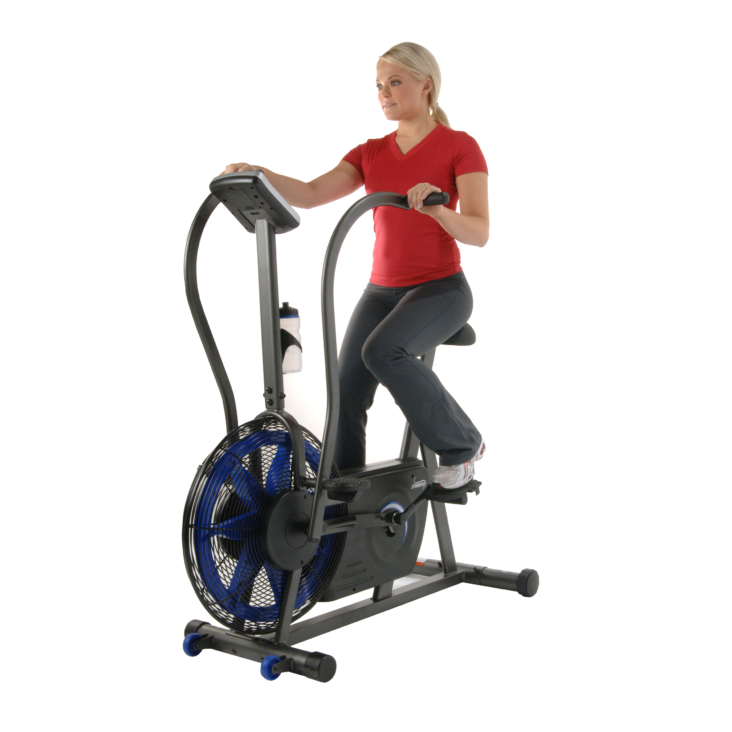 The Stamina® Airgometer Exercise Bike is designed to offer quiet, smooth and reliable performance. Sturdy and notably comfortable, the Airgometer Exercise Bike is perfect for fitness fanatics who demand seriously intense workouts. The air resistance engineering proves to be simple and easy to use, making it an equally great option for less experienced users who want to conveniently improve cardiovascular fitness and strength at home. As professional trainers often attest, stationary cycling can improve your cardiovascular fitness and increase your metabolism for more efficient calorie and fat burning. The Airgometer Exercise Bike adds to those proven benefits by letting you target your entire body. Pedaling with your feet strengthens your legs, thighs, hips and calves while the dual action handlebars work your arms, shoulders and chest. By working both your upper and lower body simultaneously, the Airgometer Exercise Bike increases the intensity, burning additional calories and fat. 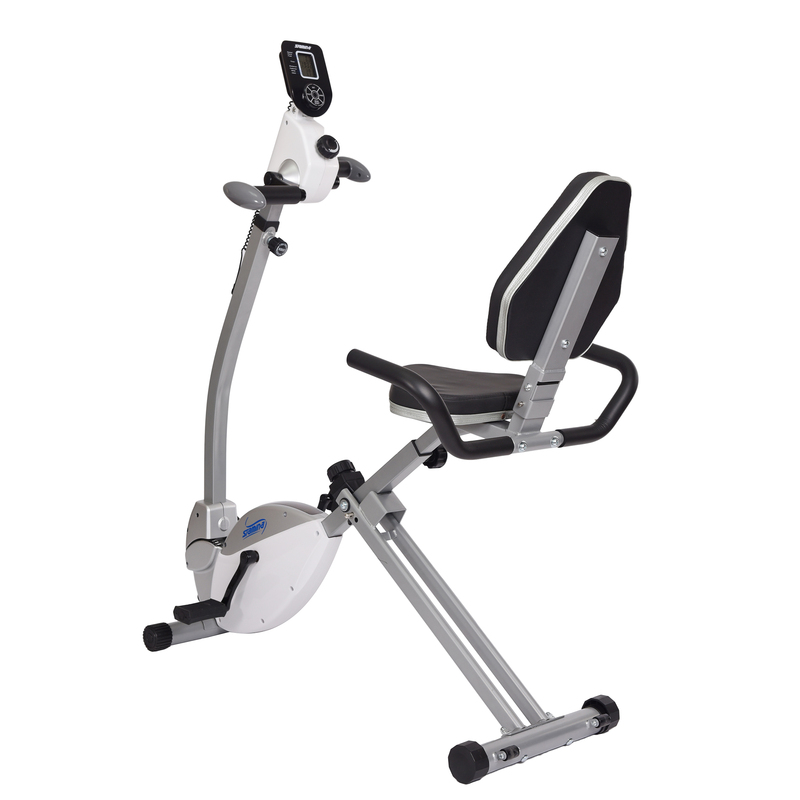 The Airgometer Exercise Bike is constructed to last, yet Stamina engineers have made no sacrifices on the comfort elements. The heavy-duty oval steel frame and sturdy steel housing around the resistance fan protect the integrity of the bike, while a wider, cushioned seat makes the ride more enjoyable. The high-density foam hand grips and slip resistant pedals lend to both comfort and performance. Finally, the InTouch® Fitness Monitor displays your progress – time, distance, speed, and calories burned – to keep you fully motivated. Improves cardiovascular fitness and strengthens legs, thighs, hips, calves, arms, and chest. The dual action handlebars add an upper body workout and more intensity to your workout to burn calories, and fat. 49" x 23" x 50"